Erzullie Fierce Plus Size Fashion Philippines: WHAT IS THE FOUNDATION OF A GREAT WARDROBE? WHAT IS THE FOUNDATION OF A GREAT WARDROBE? This morning, I was thinking about giving a specific girl a great gift --- a shopping trip. She's actually one of my favorite girls and to be honest, I am not satisfied with my birthday gift for her (not gonna mention it here lol). Anyway, I was thinking that she does deserve this shopping trip because last that I heard her things got washed away by the flood. So then this thought came up, if I am going to give her a shopping trip, I need to give her the best one. It's not going to be flashy like a fashion montage or whatever. It's going to be straight on point GREAT WARDROBE FOUNDATION that she can build her style on. So what is the foundation of a GREAT WARDROBE for any woman (plus size or not)? I was thinking that like any foundation, it should be able to hold on its own and you can just pile things on it and it will all be better. With that in mind, here are some of the components that I THINK should be part of that great foundation of a great wardrobe. Of course. BASICS. 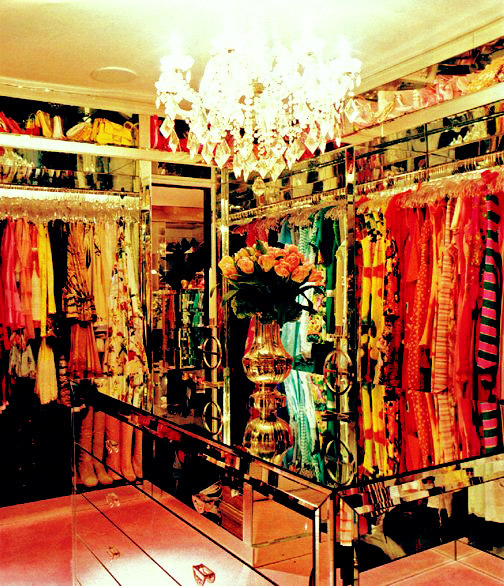 Every woman should have this in their closet. If you are in a rush to get out (as most of the time I do) grab a basic, put on a fiesty blazer, great pair of jeans and black pumps and you are chic in no time. ALL FASHION EXPERTS, ENTHUSIASTS, HUMANITY... ET AL agree that a great pair of jeans is hard to find but when you do... HANG ON TO IT WITH DEAR LIFE until it's no longer fitting you great. Jeans are great because you can dress it up and down depending on what you need. Height depends on how you like it but black pumps can be worn in the office, dates, night outs or even casual errands if you wanted to. It's nice to invest in a well structured and with lining blazer. You will look immediately chic with it. No need for explanation. Every woman should have this. Like the pumps, you can wear this in almost any event in your life (except wedding, not unless it is specified there that you need to wear black). So here is what I think is a foundation of a great wardrobe. Anything else you girls may want to add?